The 10th and 11th rounds of play in the Vestel Venus Sultanlar Ligi have concluded with Eczacibasi VitrA still leading the league. Eczacibasi had a tough 10th round match against Bursa B. where they were taken to five sets before they won 15-12. Galatasaray had a tough two rounds as they were forced into five sets in each of their matches. The league will now take a month off before resuming matches just after the new year. 12/2/17 Camerously Beylikduzu Vol. Iht. Nilufer Bld. 12/5/17 Ilbank Camerously Beylikduzu Vol. Iht. 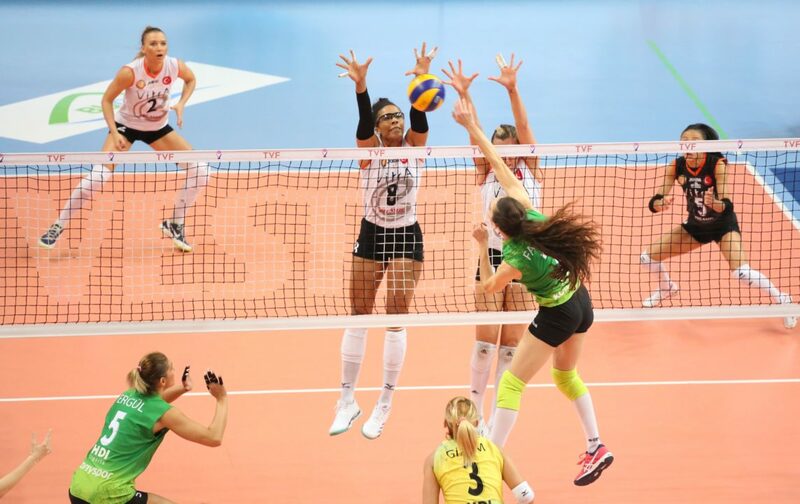 Eczacibasi VitrA took round 10 after a tough five-setter with Bursa B. where three players recorded double-digit points – Tijana Boskovic led the way with 30 points while Rachael Adams posted another 21 along with Jordan Larson‘s 17. Their second match against Halkbank came easier, as they swept them behind 21 Boskovic, 19 Larson and 12 Busra Kilicli points. Galatasaray had a tough two rounds as they went to five in each, claiming both wins. First they down Besiktas with a fifth set score of 19-17 behind Dobriana Rabadzhieva‘s 18 points. Another three Galatasaray player recorded double-digit points in the win – Hristina Ruseva (17), Sinead Jack (17) and Guler Neslihan Demir (16). In their second match, they defeated Canakkale Bld. behind a fifth set score of 16-14. Ruseva led the teams with 20 points while Jack and Rabadzhieva put down 17 points. Also recording double-digit points were Seda Aslanyurer with 14 and Demir with 12. VakifBank rolled to two sweeps on the week, first over Seramiksan then against Bursa B. while Fenerbahce did the same.